The mission of Family and Detail Warehouse is to maintain the world’s best, non-manufacturer specific library of standard Autodesk® Revit® Families and Details… so you don’t have to. This trial/sample version of F+DW contains a limited number of downloadable, sample files of content in .rvt, .rfa and .dwg formats. Other details and families may be browsed, but not downloaded until purchased. To download sample content, right-click the detail and select "Download". Alternatively, select a detail, click the "More" icon at the bottom right, and select the "Download" icon. Currently available in Imperial units only. 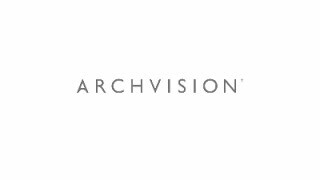 The ArchVision FAMILY + DETAIL WAREHOUSE subscription grants on-demand access to a database of Details, Components, and Families. Requires annual renewal. Advance renewal notice reminders are provided to enable billing updates or changes to your plan. This application provides a preview to the 27,500+ construction details available in the Family and Detail Warehouse, plus over 1,000 components and families. FREE sample content channel included. To much cost for a very poor library. No Exterior pocket and multi sliding doors details. No Traditional Details with Surround cast stone details. Would be awesome if it also contained metric units. It did not work for me either, Stephen. Too bad. Finally able to access the material, thanks! I love those details, but I will wait for metric units only purchase.